13 people facing trial just for being anarchists. On 16/12/14 the Catalan police broke into 14 houses and social centres, destroying and stealing everything of value. 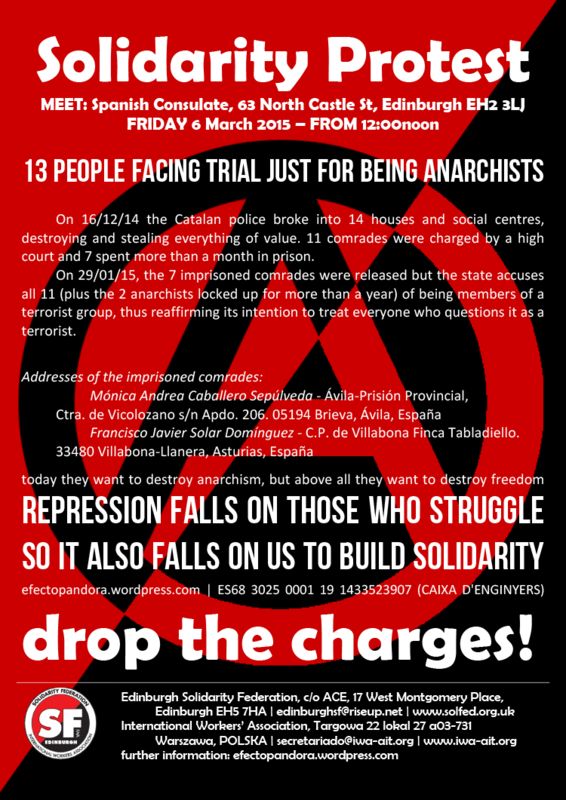 11 comrades were charged by a high court and 7 spent more than a month in prison. On 29/01/15, the 7 imprisoned comrades were released but the state accuses all 11 (plus the 2 anarchists locked up for more than a year) of being members of a terrorist group, thus reaffirming its intention to treat everyone who questions it as a terrorist.